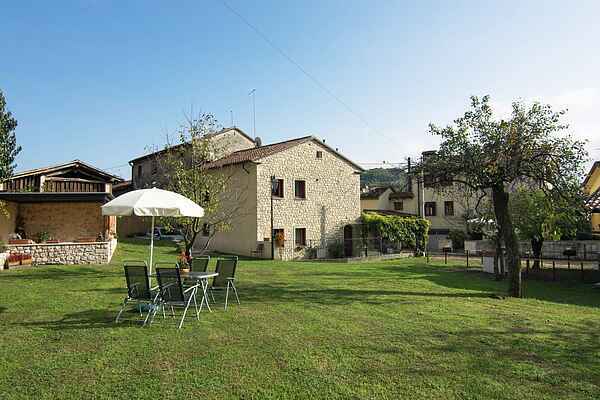 Delightful holiday home in Veneto, Treviso province. This holiday home, made up of two apartments, is located in Marca Trevigiana, in the northern part of the province on the border with the Belluno pre-alps. The ground floor apartment is decorated in a rustic style; it is warm and welcoming and is furnished in a functional, well thought of and pleasant manner. This is the perfect place for a relaxing break dedicated to sport: excursions, trekking, mountain biking, etc. The position allows guests to visit not only the surrounding area, (the characteristic wine and food tours and Treviso itself), and the rest of the region (close to the Dolomites, Cadore, Santa Croce Lake and Cortina a tourism and shopping destination, Venice, etc.) The interesting surrounding area: Padua (a historical university town rich in culture, with works by Giotto), Vicenza (architecture and the Palladio villas), Venice (cultural, political and moral capital of the Veneto region, as well as a spectacular place to visit), Sottomarina, Jesolo, Caorle (sea and beach), Verona (Arena, Romeo and Juliette) and Lake Garda (beaches, surfing and amusement parks).